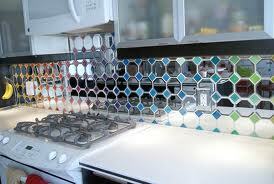 A mirrored backsplash is a fun and different way to add brightness and character to your kitchen. 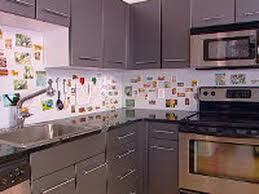 Not only is it creative, it has the possibility to make your kitchen seem larger than it actually is. 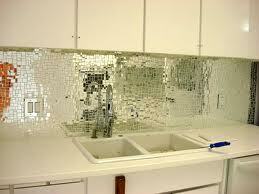 What’s fun about using mirrors is that there are numerous different styles and textures to choose from! 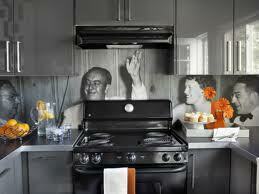 Magnetic paint is such a great idea because it allows you to turn your kitchen into an artistic canvas! 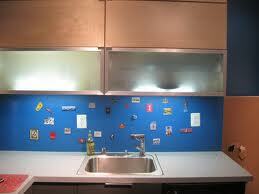 After applying a few coats of magnetic paint, you can hang things from your wall you never thought possible. 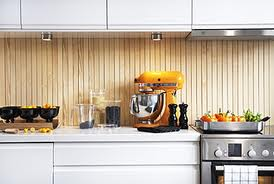 Even better, you can find it at almost every home center. 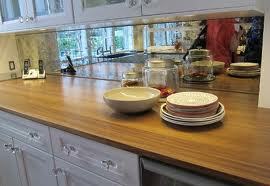 Using wood is a fantastic way to give your kitchen space a natural and rustic feel. 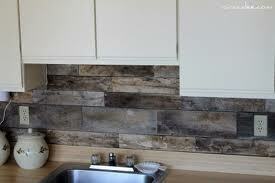 Whether it be old weathered wood from a barn or scrap pieces you found outside, wood brings a specific warmth to any room and can be applied directly on top of existing tiles. 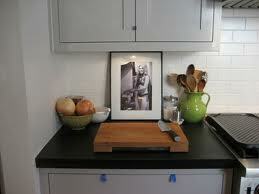 We think frames are a great way to incorporate family photos, recipes and anything else you cherish, into your kitchen décor. 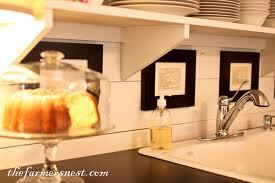 Frames can easily be mounted to the wall above any counter space, over the kitchen sink or cabinets. If you’re feeling really daring, you can even have a giant picture made out of vinyl and adhere it directly to your wall! 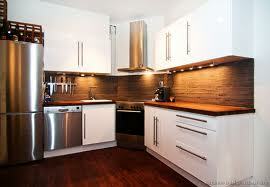 Kitchens are the most popular room in most households; it should reflect your personality and style! We hope you enjoyed reading these ideas and hopefully sparked a few of your own!